Cleft lip and cleft palate are one of the most commonly seen facial deformities in children after birth. These facial deformities can be diagnosed in the children as soon as they are born. Therefore, it is easier to get these facial deformities and get the child in the normal looks state within an estimate period of time. Nowadays, there are many advances which ensure that the doctors can detect the deformities in the utero itself thus leading to proper management and treatment of these children after birth. There are many factors which are taken into consideration during the treatment of these facial deformities. The dentists and oral surgeons have cleft palate specialist teams who treat the children and ensure successful accomplishment of the treatment after a certain period of time. Cleft lip is treated with the help of the surgeries preferably at the age of 10 weeks. Single cleft lip cases are treated with single surgical procedures. 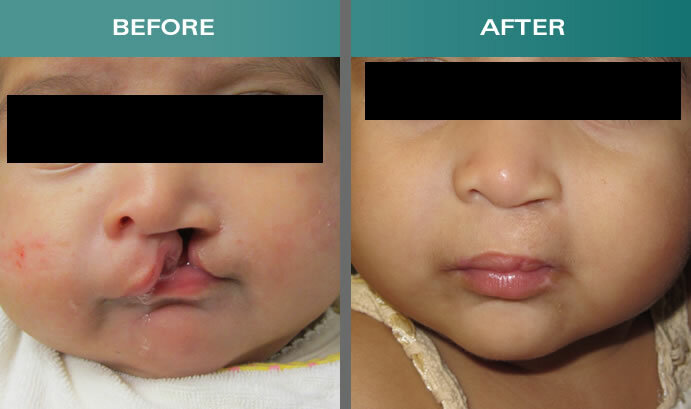 If the case is extensive and bilateral then the patients are treated first on one side by closing the cleft and then the second one after few weeks. In this way, even the complicated cases can be handled with ease and can be corrected accordingly by the team of surgeons and dentists. The treatment of the patients is done in a systematic manner which varies and progresses with the age of the patients. Palatal obturator is the initial procedure which is done till the child is of 1 year. 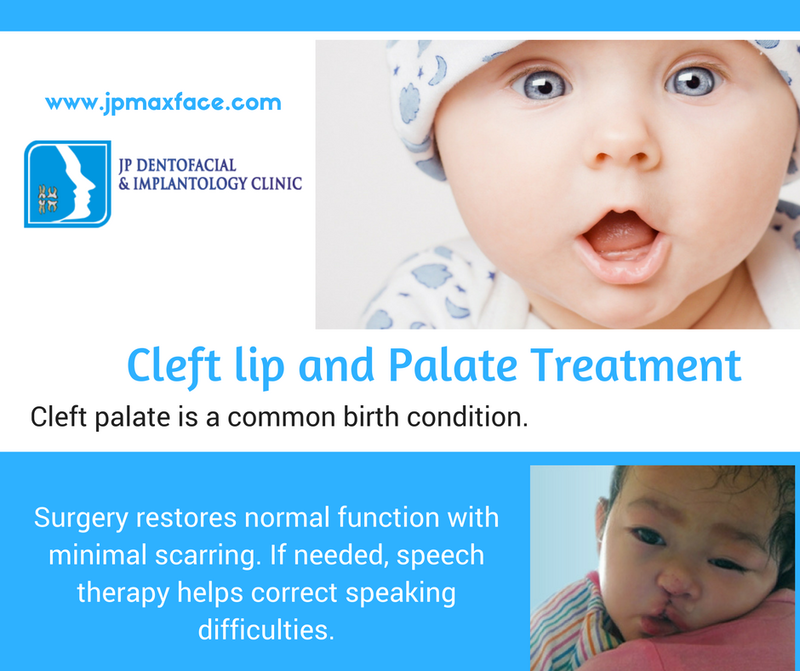 In this period the cleft lip, soft palate as well as hard palate can be repaired in the patients. Speech therapy is also an essential part of the treatment curriculum for most of the patients affected by the cleft lip and cleft palate. Speech therapy sessions are held between the age of three to six years of age. If there is any hearing loss, then it can be treated properly in this treatment schedule. Bone grafting procedures are done in between the age of nine to twelve years. Finally, the orthodontic procedures are done once the child turns around seven years. The orthodontic procedures continue till the age of 18 years depending on the severity of the case. Several cosmetic procedures are also done in the patients after the age of 15 years that along with the functioning of the lips and palate the appearance of the face is also improved thus making the patients appreciate of their valuable new looks. Orthodontic treatments ensure that the jaws and the teeth are in the right position and do not cause any type of difficulty for the patients undergoing the procedures. Also, the bony structures can be restored properly without interfering in their regular functioning. It is important for the patients and their family members to keep realistic expectations from the procedures so that they can appreciate the work of the dentists and surgeons and the ultimate achievement of the procedures. Regular follow ups ensure that the patients can know their progress and keep a watch on their improvements under the guidance of the experts.